February 24, 2012: Our recent co-authored comment in UNA-UK’s New World magazine titled “The global push against non-communicable diseases” can be accessed here. Februray 17, 2012: The British Medical Health Journal (BMJ) recently highlighted the issue of contaminated drugs in Pakistan that led to the deaths of 120 people. In a statement to the journal, our President, Dr. Sania Nishtar commented that this should be a wake up call. “There are only a handful of testing laboratories in the country” and that “…while the standard operating procedures for quality testing may have been articulated, the infrastructure to implement them does not exist”. February 07, 2012: Read about our recent comment in the Huffington Post about the World Economic Forum’s niche as a convening space for health sector stakeholder engagement. This is a much needed capacity in the current global economic environment where global solutions can best be achieved by exploiting public-private synergy. February 06, 2012: The Women in the World Foundation has featured a story on “Two Doctors Overcoming Obstacles to Accessing Healthcare”, focusing on the work of our President, Dr. Sania Nishtar. Click here to read article. 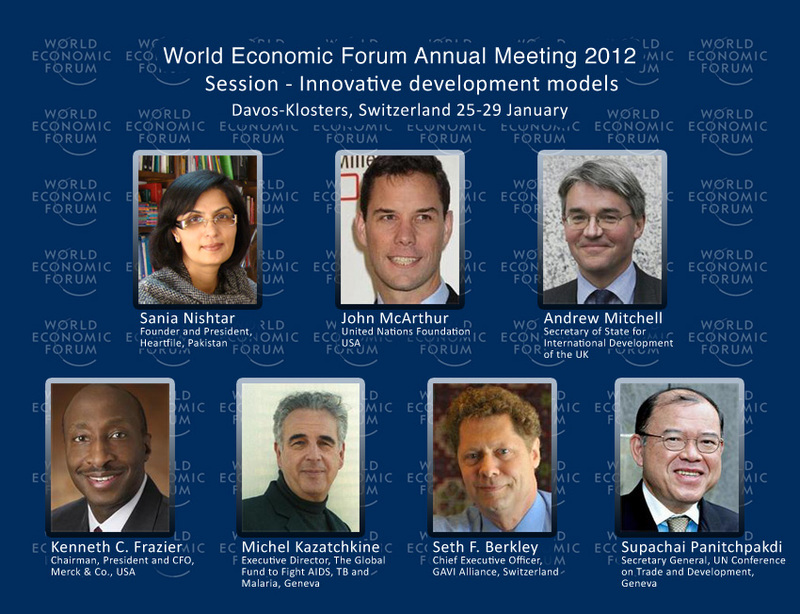 February 02, 2012: WEF’s Annual Meeting in Davos was focused on “The great transformations: shaping new models”. 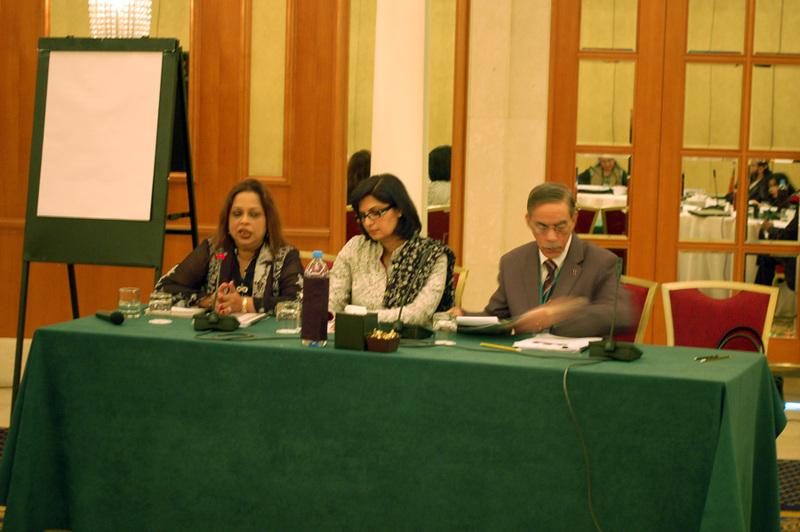 Our President, Dr. Sania Nishtar was one of the panelists at a session on Innovative Development Models. Other panelists included: Andrew Mitchell, Secretary of State for International Development of the United kingdom; Seth F. Berkley, Chief Executive Officer, GAVI Alliance, Switzerland; Kenneth C. Frazier, Chairman, President and CFO, Merck & Co., USA; Michel Kazatchkine, Executive Director, The Global Fund to Fight AIDS, TB and Malaria, Geneva; Supachai Panitchpakdi, Secretary General, UN Conference on Trade and Development, Geneva. The panel was moderated by John McArthur of the United Nations Foundation, USA. February 14, 2012: Dr. Saba Amjad and Yasir Abbas Mirza represented Heartfile at the recent Packard Foundation’s partners meeting, which was held at JW Marriott in Dubai on January 27-28. The meeting focused on compliance training and program overview. Our president, Dr. Sania Nishtar talked on challenges and opportunities of health and population in the changing context in the post 18th-Amendment scenario.